The Alexander Tel Aviv Hotel is a luxury designed hotel located by the Mediterranean ocean, providing a warm, professional and personal hospitality experience with world leading standards. Its unique trendy suites have been elegantly designed to offer ultimate pampering luxury in order to provide our guests with the perfect stay. 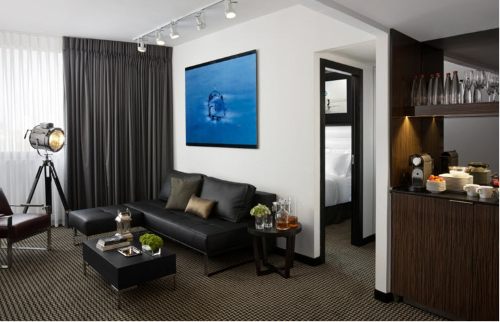 Our 68 beautifully designed Suites offer the height of luxury and our attention to detail begins with the design and extends to the warm, friendly, courteous and professional service we strive to deliver. The hotel combines prime location, Exquisite design and a contemporary environment. Up to 48 hours before date of arrival No cancellation fee Less than 48 hours Night cancellation fee. In case of non-arrival the hotel charges a full cancellation fee. Executive Suite with Partial Sea ViewThis Suite is 550 sq. ft. in size and consists of one beautifully designed bedroom, living room with kitchenette and walk-in closet and can comfortably accommodate up to four guests. The bedroom and living room have LCD TVs with an extensive collection of channels to choose from. A sofa bed in the lounge can be opened up to accommodate extra guests. In room: dual telephone line, valuables safe, coffee and tea facilities, Nespresso machine, fridge / freezer, microwave, heated bathroom mirrors, walk-in shower with rainfall shower head. Enjoy our complimentary L'occitane products in every room. 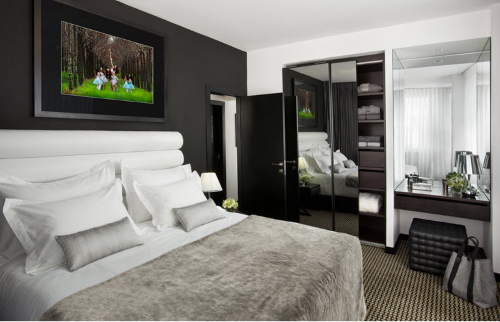 This Suite is perfect for two adults and two children. Deluxe Balcony with Partial Sea ViewThe Executive Deluxe room is 550 Sq. 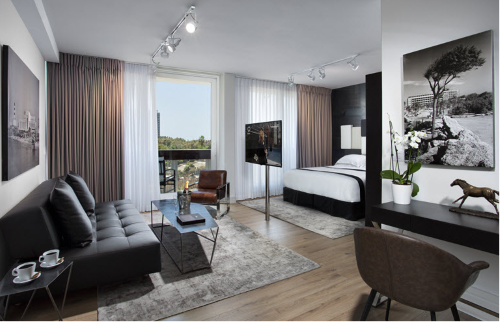 ft. in size and a beautifully designed open space consisting of both a bedroom and living area. The room can comfortably accommodate up to four guests. The room includes an interactive LCD TV that can be viewed from both the bedroom and living area, an extensive collection of channels to choose from , a sofa bed in the lounge area that can be opened up to accommodate extra guests. Also In the room: dual telephone line, valuables safe, coffee and tea facilities, Nespresso machine, a small fridge, microwave, heated bathroom mirrors. Enjoy our complimentary L'OCCITANE products in every room. 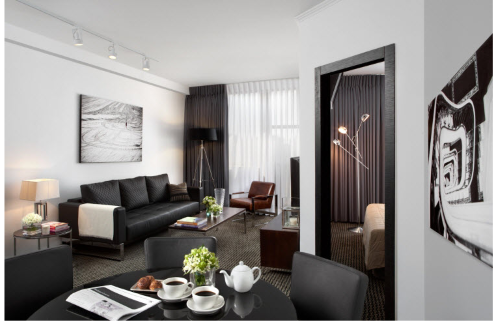 Superior SuiteThis Suite is 450 Sq. ft. in size and consists of one beautifully designed bedroom, living room with kitchenette. 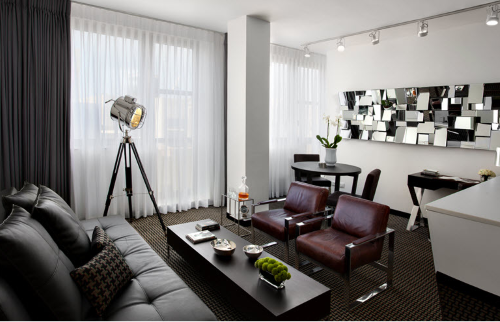 The suite can comfortably accommodate up to three guests. The bedroom and living room have LCD TVs with an extensive collection of channels to choose from. A sofa bed in the lounge can be opened up to accommodate extra guests. In room: dual telephone line, valuables safe, coffee and tea facilities, Nespresso machine, fridge / freezer, microwave, heated bathroom mirrors.. Enjoy our complimentary L'occitane products in every room. Deluxe RoomThe Deluxe room is 450 Sq. ft. in size and a beautifully designed open space consisting of both a bedroom and living area. The room can comfortably accommodate up to three guests. The room includes an interactive LCD TV that can be viewed from both the bedroom and living area, an extensive collection of channels to choose from, a sofa bed in the lounge area that can be opened up to accommodate extra guests. Deluxe with Balcony The Deluxe Balcony with Partial Sea view is 500 Sq. ft. in size, a beautifully designed open space consisting of a bed room, living area and a balcony with a partial sea view. The room can comfortably accommodate up to three guests.